A new strategy for helping the world’s working equines? More research is needed into the psychological factors that influence the way owners treat their working equines, a review has concluded. University of Chile researchers Daniela Luna and Tamara Tadich argue in their review, published in the open-access journal Animals, that identifying the human attributes that affect the welfare status of working equids may help researchers, local governments and other organisations understand the underlying causes of poor welfare. That, in turn, could lead to appropriate educational interventions tailored for each geographical and cultural context. The pair, who are with the university’s Department for the Promotion of Animal Production, note that there is little research in this area. “We recommend that in order to advance in the improvement of working equids’ welfare on a global scale, an integral understanding of those human psychological attributes that influence the owner’s behaviour and modulate owner-equine interactions must be established and taken into account in future studies,” they said. Luna and Tadich said the livelihood of working horses’ owners and their families is intimately linked to the welfare of their equids. 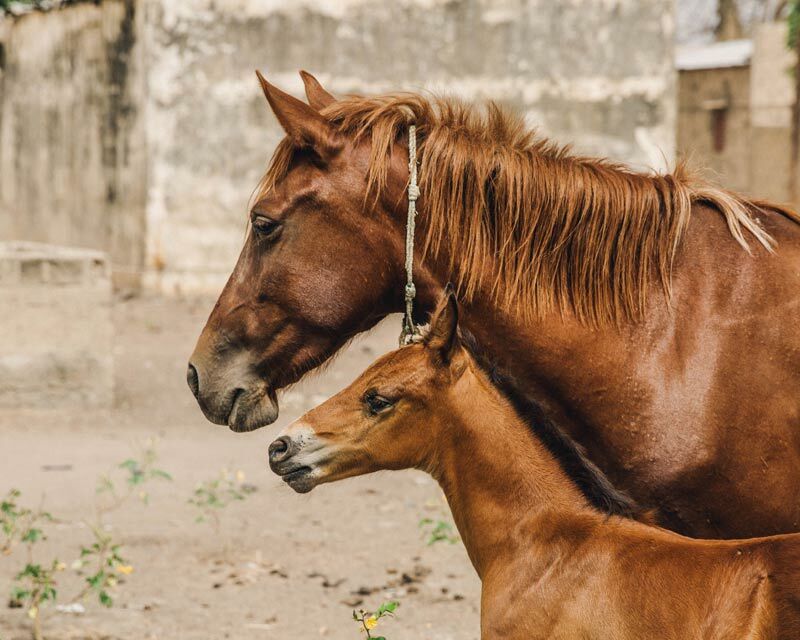 According to the Food and Agriculture Organization of the United Nations, there are more than 112 million horses, donkeys and mules in developing countries. Most of these are working animals who support about 600 million people worldwide. These animals are particularly useful in reducing poverty through direct or indirect income generation, providing access to food and services, increasing food security, undertaking work on farms, and increasing the resilience of families that depend on them. Working equids are often owned by people who belong to the poorest groups in societies. The animals often have to work long hours under poor environmental conditions, often without enough water, food, veterinary treatment or access to farrier care. Consequently, these animals suffer many welfare problems. The pair acknowledged that, during the last 30 years, there has been considerable research interest centered on human-animal interactions. However, most of this work had been related to livestock industries, while very little research has been undertaken to identify the human attributes that influence the owner-equine interaction and how these could, eventually, affect the welfare of the animals. “There are still only a limited number of studies that have addressed the relationship between human attitudes and equine welfare. Further research is required in order to understand the potential relationship between owners´ perceptions, their attitudes and the welfare of their animals, they concluded. “In recent years, the welfare of working equids has become an increasingly important topic, which is reflected in the high number of investigations worldwide, some of them on a large scale. These mainly consider the assessment of health state and equids’ behaviour, as well as the management practices and environmental conditions in which these animals should be maintained to ensure a good welfare state. The pair said that while studies on these psychological attributes were limited, the few investigations to date indicated the positive effects on horse welfare when owners have high levels of empathy and a greater grasp of their animals’ potential pain. The studies suggest that an owner’s empathy towards working animals affects the way in which they are treated and cared for, with important consequences for their welfare. Such assessments should be included in welfare assessment protocols of working equids as a diagnostic tool that seeks to improve the welfare of working equids and their owners. Why Should Human-Animal Interactions Be Included in Research of Working Equids’ Welfare?